Recently, I took a short trip to New York City – an action packed long weekend arranged through Bay World Travel’s relationship with New York City Vacation Packages. My friend Joanne came up from New Jersey, and 1 day into the trip I was surprised by two other friends who decided to join us for the weekend. While I’ve gone to school in New York, worked in New York, and visited for business reasons through the year, I’ve never been a tourist in New York. I know New York is an amazing city but seeing it through visitor’s eyes provided a new perspective. 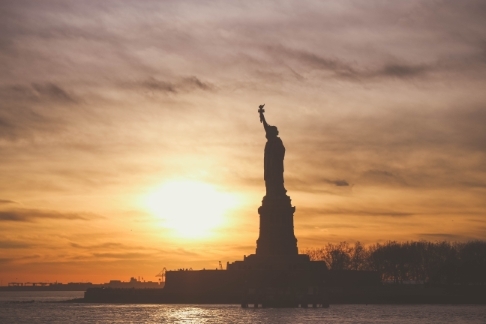 Here are my top 5 reasons to make New York City a girlfriends’ getaway. 1. Convenience. I live in California so traveling across the US for a long weekend might seem to be a bit much. But honestly, flights are convenient, frequent and affordable. Plus no passport is required, and you’ll land in New York quicker than driving between northern and southern California. There are nonstop flights from the West Coast into New York’s two biggest airports – JFK and Newark – and lots of connecting flights into La Guardia and White Plains as well. 2. Shopping! 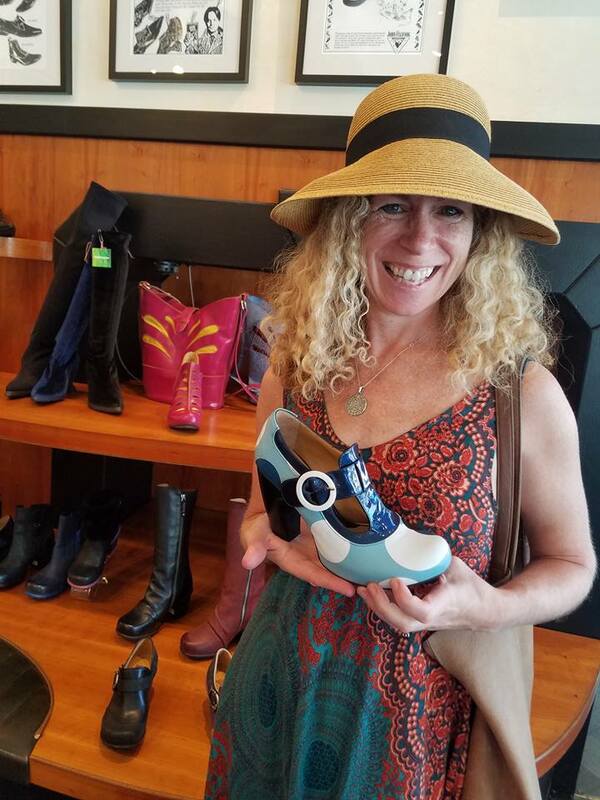 A highlight for all of us was our SOHO/NoLita boutique shopping tour. Hosted by Shop Gotham, we walked to several unique boutiques filled with surprisingly affordable yet one of a kind items. Plus on our Saturday visit we strolled through a wonderful sidewalk crafts fair – beautiful jewelry. Our tour guide Keve is not only an accomplished shopper but also a professional musician – she plays oboe for Broadway shows. This was a real treat for me as I’m a big Mozart in the Jungle fan, and the main character is an oboist(Keve knows the author of the series and even appeared in the series). My shopping finds? One dress (made in New York City and on sale for under $50), a top, shoes, and an adorable t-shirt for my grandson from local artist (company name: Pigeon Be Pigeon) of the New York skyline and a pigeon dreaming of pizza. What could say New York better than a pigeon and a pizza? 3. Food! Notice I put food before culture? Well, in New York, food is culture. When I lived in New York I commented that you can live well, dress well, or eat well – but not all 3. 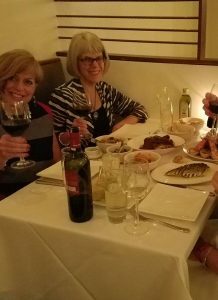 My friend Joanne has a connection with the local chef scene so we took advantage of an “insiders” meal at trendy Greek Loi Estatorio – treated like goddesses! We met the chef, met the owner but it’s not just about connections in the New York restaurant scene. When you go to small owner operated restaurants like this fabulous Greek offering, you often encounter the chef, the owner, and enthusiastic staff who love and honor the food you are presented with. On our other big night we enjoyed the hip, youthful vibe of Dirty French in the Ludlow Hotel on the Lower East Side (a far cry from this neighborhood’s tenement days). We enjoyed multiple courses – a personal favorite was the crab, meyer lemon and artichoke special – but honestly the best experience was the parade of people in and out of the restaurant (not to mention the staff members themselves bedecked in eccentric outfits. And I could have spent hours at Mario Batali’s Italian emporium – but instead we browsed, sipped a Negroni and enjoyed some fabulous food. 4. Culture! Our package included several museum entrance admission tickets. On a weekend we couldn’t do it all so we chose to go to the Metropolitan Museum of Art – New York’s biggest. And the only rational approach at such a huge museum is to focus – rather than running around trying to look at a little of everything we chose the tiny Frederic Remington special exhibit and of all things American pottery (which we loved). And I had to pay homage to Louis Tiffany – the amazing stained glass windows are jaw-droppingly beautiful. 5. Iconic sights. I have a confession to make – I have never taken the Circle Line tour. I loved it! On a hot and beautiful day we motored around lower Manhattan and enjoyed the New York skyline and the famous lady who holds her torch above the city. Our tour guide was highly knowledgeable about New York history – admittedly in the late afternoon after running around New York all day I may have dozed off during the lecture on the building of the Brooklyn and Manhattan Bridges. And our package also included entrance to the sobering 9/11 Memorial Museum. I had acquaintances who lost their lives on that day and know one heroic office worker who led her staff down the stairs to safety just before the second tower came crashing down. So this was a very personal and reflective time – its location right at the site with remains of stairs, walls, and heartbreakingly the melted Ladder 3 truck. Ladder Company 3 lost almost all of its firefighters that day. And what better experience there is than to laugh, cry and reminisce with friends? This short but packed weekend was one to remember! Interested in a New York getaway? Call us at Bay World Travel – we will build the perfect experience for you!